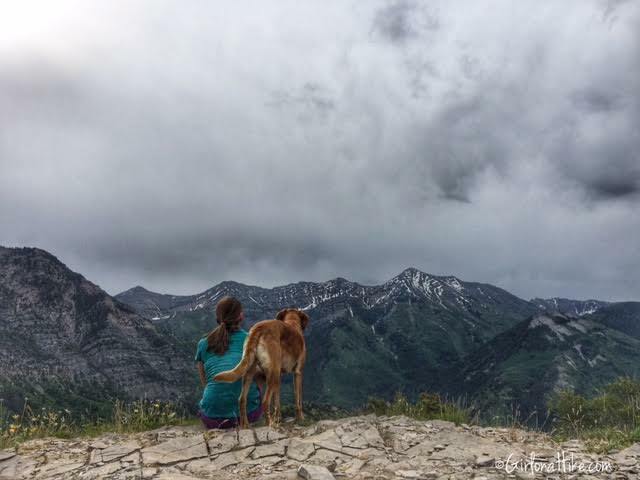 Most peaks require hours of effort and are typically suited for hikers with a lot of back-country experience, yet Buffalo Peak near Orem, Utah is a peak for the whole family to enjoy (even the dogs!). With the low elevation gain, and short distance, even children will be excited to summit this "peak". You can reach the summit in under 15 minutes at a moderate hiking pace, or closer to 30 minutes with children. Buffalo Peak offers a fantastic view of Utah Valley to the West, and the Cascade ridgeline to the East. 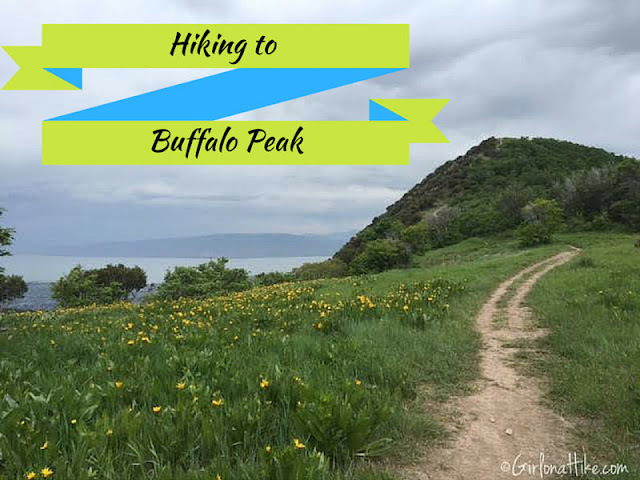 Late Spring and Early summer is the best time to hike here while the wildflowers are blooming. From SLC the drive time is about 45 minutes to 1 hour. Head south on I-15, and take exit 272, and turn left. 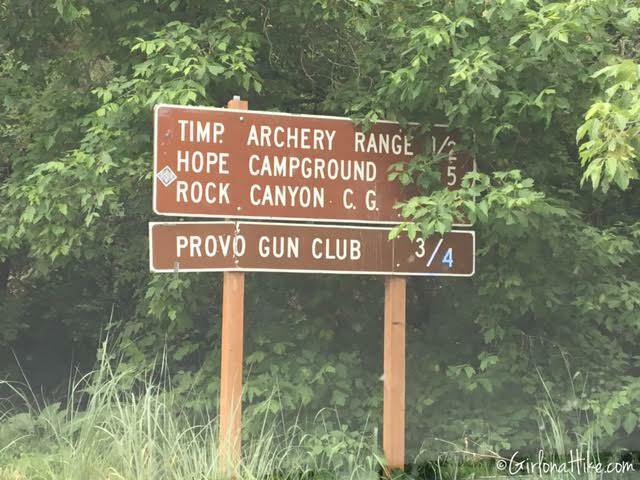 Drive on 800 N for about 3.7 miles, then veer left into Provo Canyon. Drive another 1.8 miles and look for the brown Squaw Peak sign pointing right. Reset your odometer to 0. 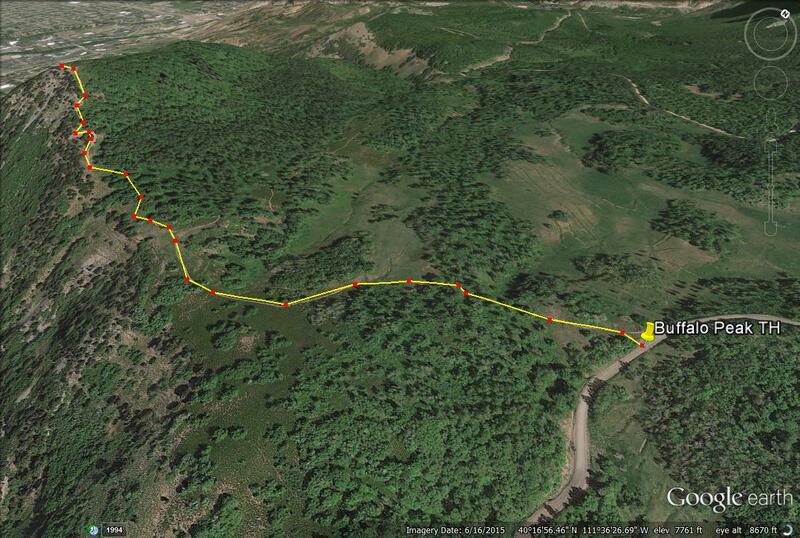 Drive 4.1 miles to the "T", and turn left towards Hope Campground on road FR027. At 4.6 miles the pavement ends, and turns into a dirt road. Continue another 2.9 miles, until your odometer is at 7.5 miles. 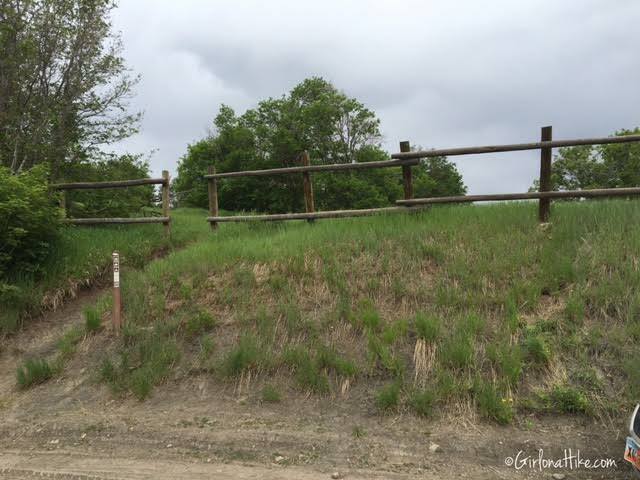 The trail starts at an unmarked trail, with a log-rail fence on the right side of the road, and a fire-prevention sign on the left side of the road. The road is slightly bumpy, but my little Sonata made it fine (and slowly). There are no fees or permits required. No restrooms are available. As soon as you turn onto Squaw Peak Road, you'll see another brown sign. Follow the sign for Hope Campground. On the drive up the dirt road, you'll pass by several other areas that look like a trail, but don't take those. Following the directions above, you'll know you are at the correct TH when you see this sign on the left side of the road. Parking is along the road, right by the TH. 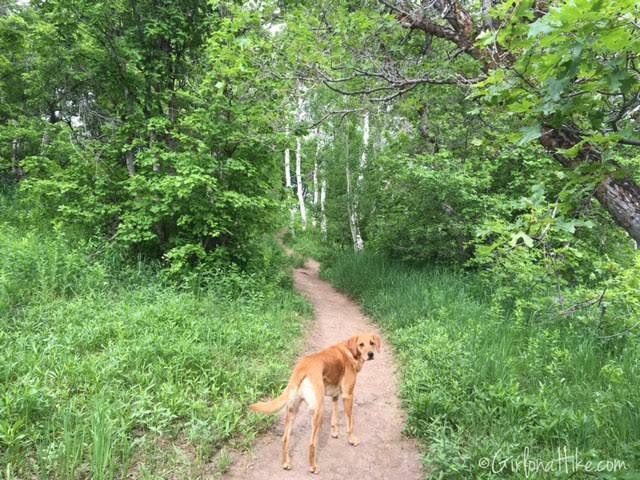 Charlie leads the way through a very green forest. You can tell this is a popular trail because the trail itself is very well defined with footprints everywhere. Off to your right you'll see Timpanogos in the distance. The day I hiked here it was a cloudy, rainy day. 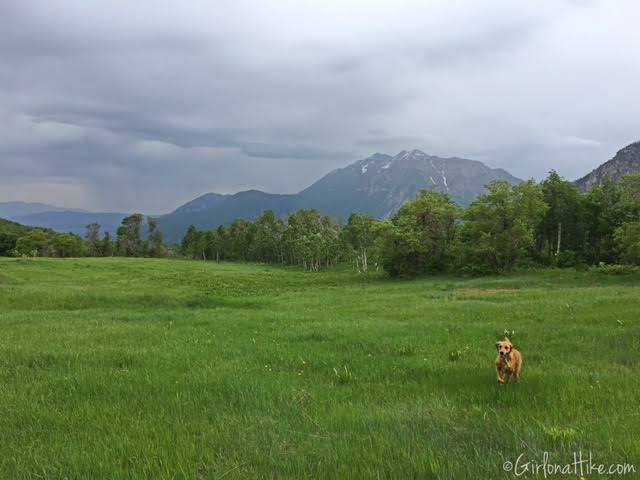 Charlie runs wild in the open meadow. 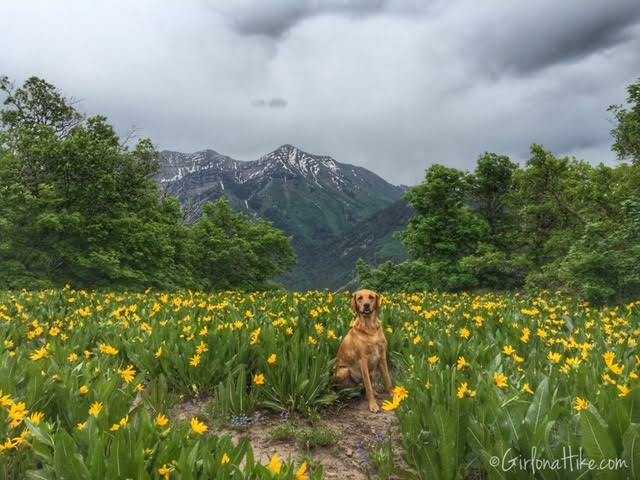 Striking a pose in the wildflowers! Almost to the peak! The only steep section of this trail is the last 100 ft or so. I timed myself to see how long it took me to get here, knowing how short it was - 14 minutes to be exact! The peaks behind us are Provo Peak and Cascade Mountain. 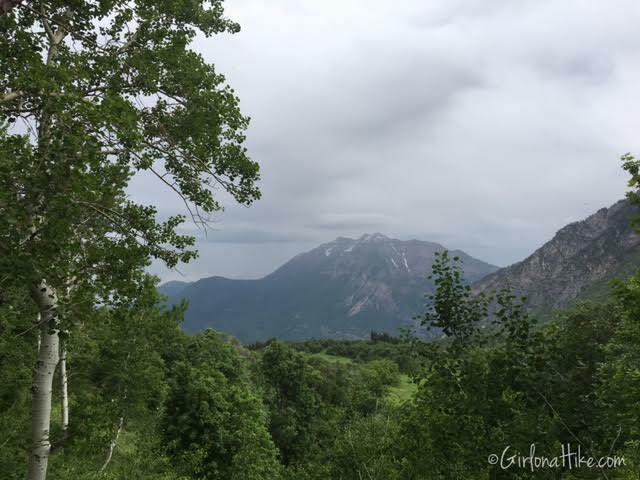 Although this is a long drive from Salt Lake, it's worth it to hike at least once, but I would combine this trail with another small trail in the area, such as Battle Creek Falls or Stewart Falls. Buffalo Peak trail map looking Northwest. I need to try this in the early summer. I hike this every year in late September because the leaves are amazing in the fall - so colorful. 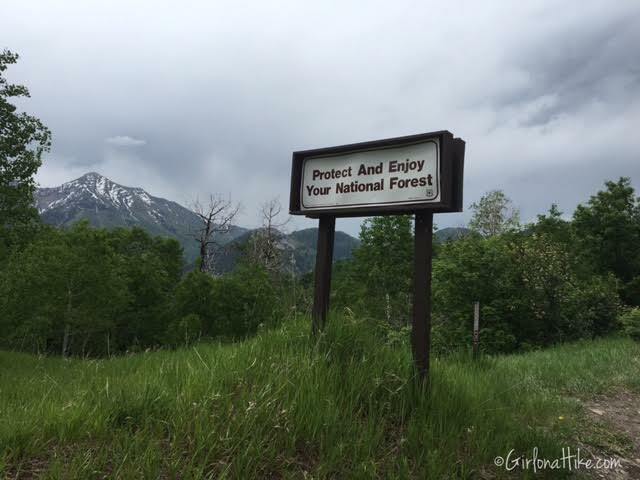 You could also hike Stewart Falls which is near Sundance while you're in Provo Canyon. Besides the really short hike you did, there are several other routes I suggest. Here's a CalTopo map with 4 routes, include the one you did. https://caltopo.com/m/L85N The "Medium" starts at what I call "Little Rock Canyon Overlook" and is about 1mi each way. The two other trails come out of the Squaw Peak Overlook. They are both about 2mi each way. The "Long Front" stays on the front of the mountain with great views of the valley, it can be pretty hot on sunny afternoons. The "Long Back" trail comes up a popular trail that the mountain bikers use, it has a lot more shade so is cooler on hot days. I've seen family photos in that meadow and always wondered where it was. Thanks for posting a do-able hike for beginners ! I love your website! 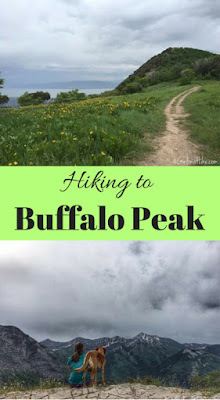 We took this hike with 7 kids and loved it! 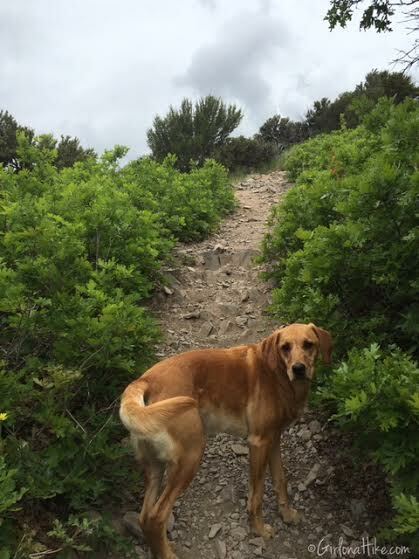 Thank you for always posting if a trail is kid & dog friendly. We look forward to following more of your recommendations! 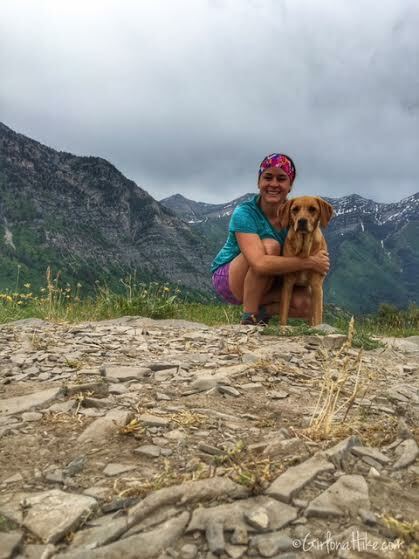 We are just getting started with our Kids Out Wild website with gear reviews, trail recommendations, helpful tips and stories for hiking with kids from all over the world. (Our website isn't up yet but our Facebook page is). Thank you thank you!